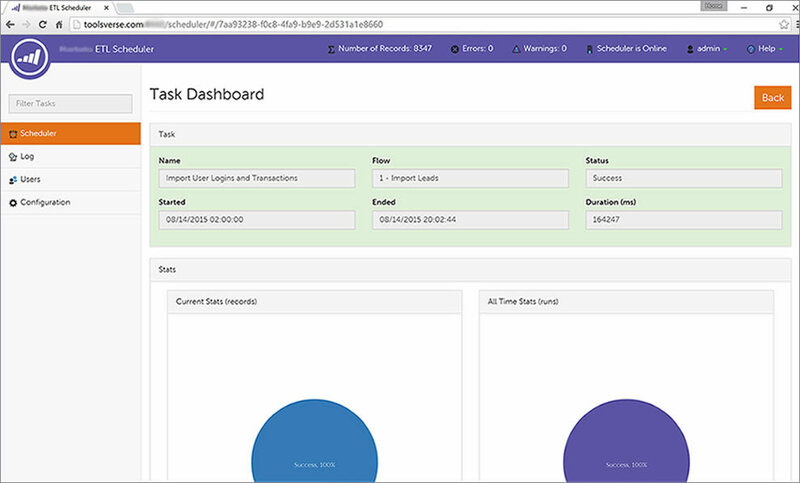 Toolsverse offers ready-to-use data integration solution for Marketo. You can subscribe to the cloud service or you can buy a perpetual license and we will help you install and set it up on-premise in no time. We support most of the Marketo APIs! Integrate your system with Marketo. We support most of the Marketo APIs. Export and Import Leads, Activities, Opportunities and Custom Objects. Solution is installed, managed and operated by us. But can also be installed on-premise. Web based application to manage and monitor integration flows. Toolsverse was instrumental in leading us to implement the complex task of feeding our marketing automation tool (Marketo) with a 5 minutes customer data refresh from our event site. Your flexibility in terms of working with our time-zone in Australia and your deep understanding of the technicalities involved were fundamental for accomplishing this task. We couldn’t have achieved the live integration, which was an essential component of our customer service journey, without your support. Thank you. Working with Toolverse has been a pleasure. Being located in Australia I was nervous to deal with a company operating out of a different country but I shouldn’t have been. The team are extremely dedicated and get back to us very quickly. The service is reliable and I would highly recommend Toolverse to anyone.